The twin-cities of Hyderabad and Secunderabad are unique in the Indian sub continent for their multiculturalism, history and growth. Capital of the southern State of Andhra Pradesh, Hyderabad is one of the fastest growing cities in the country, with information technology and bio-technology powering the astonishing economic surge that the city has witnessed since the mid-1990’s. Historically, Hyderabad has been the city where distinct cultural and linguistic traditions of Northern and Southern India meet. Hyderabadis, as residents of the city are known, have developed a distinctive culture which is a mixture of Hindu and Muslim traditions. Boasting of ancient monuments like Golconda Fort, Salarjung Museum and Husseinsagar Lake; markets selling sought-after products like pearls; modern shopping arcades and nightclubs; and a cuisine befitting kings; the city has something to offer everybody. The city is a shopper’s paradise with a wide range of products in the offing. These include pearl jewellery; lac bangles; hand-made perfumes; traditional kalamkari clothes and a wide list to follow. 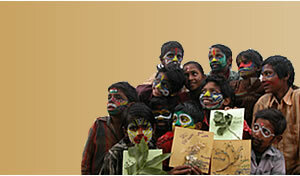 The Conference will coincide with the festival of Pongal; when the city is bedecked with thousands of colorful kites. The cultural inter-play is reflected in the cuisine as well. Any tribute to the city is incomplete without a mention of the legendary Hyderabadi Biryani; not to forget the scores of other preparations, sweets and savories that are unique to the city. The city enjoys a mild climate throughout the year; more so in the month of January when the Conference is being held. The city boasts of a new facility-packed international airport; convenient and timely transportation facilities to and from the airport and within the city; good hotels tailored for all pockets; and warm and helpful people. All in all, the delegates are sure to have a memorable Conference in 2011.